12 volt, 95 amp. For tractor models (MX100, MX110, MX120, MX135 1997 to 1999 with 6-359 diesel), (MX100C 1998 to 1999 with 4-244 diesel), (1896 1984 to 1989 with 6-359 diesel), (2096 1984 to 1989 with 6-359 diesel), (5120 1990 to 1991 with 4-239 diesel), (5130, 5140 1990 to 1991 with 6-359 diesel), (5220 1992 to 1997 with 4-239 diesel), (5230, 5240, 5250 1992 to 1997 with 6-359 diesel), (650G 1995 to 1999), (650H, 750H, 850H, 1150H 1999 to 2000). All Bosch Equipped. Replaces 0120484011. 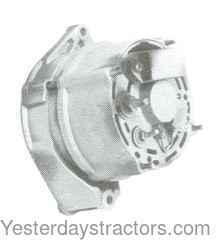 New, aftermarket Alternator for sale with a solid manufacturer warranty. In addition, we have a generous 30-day return policy if this Case Alternator for Case MX100, MX100C, MX110, MX120, MX135, 1896, 2096, 5120, 5130, 5140, 5220, 5230, 5240, 5250, 650G, 650H, 750H, 850H, 1150H tractors needs to be returned for any reason. Please see our Parts Warranty and Return Policy links on your left for complete details before returning.